Picture yourself walking along the shore, toes in the sand, in this cute and vintage inspired dress. 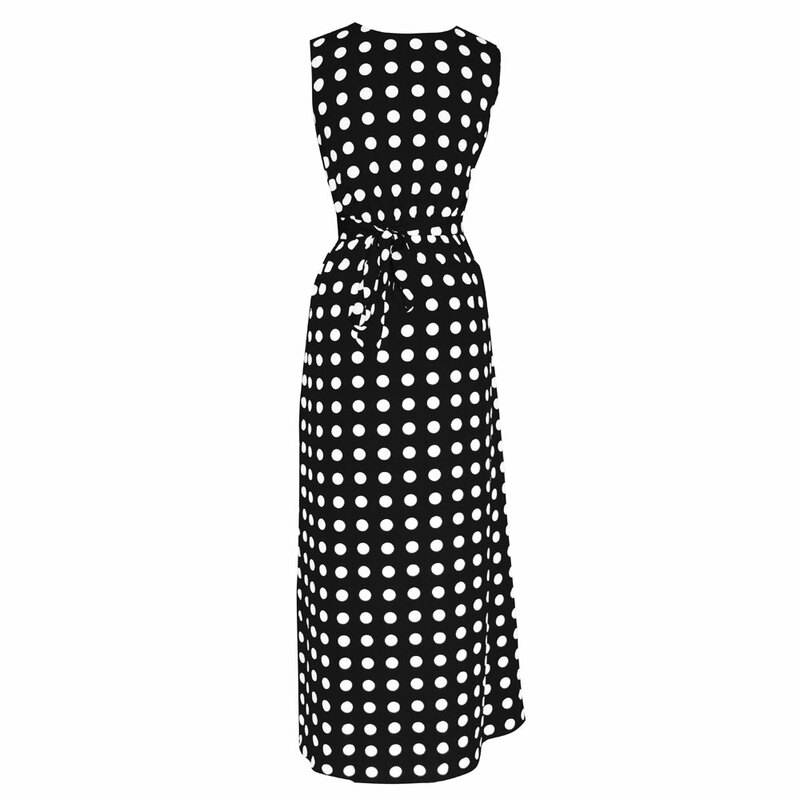 Made of 100% cotton, this dress is perfect for Spring and Summer. Nothing breaks through those cold-weather blues like a sun-kissed walk in the Polka Dot or paisley Shift Dress! Perfect for Any Occasion! New dress by Peach Couture (a registered trademark). 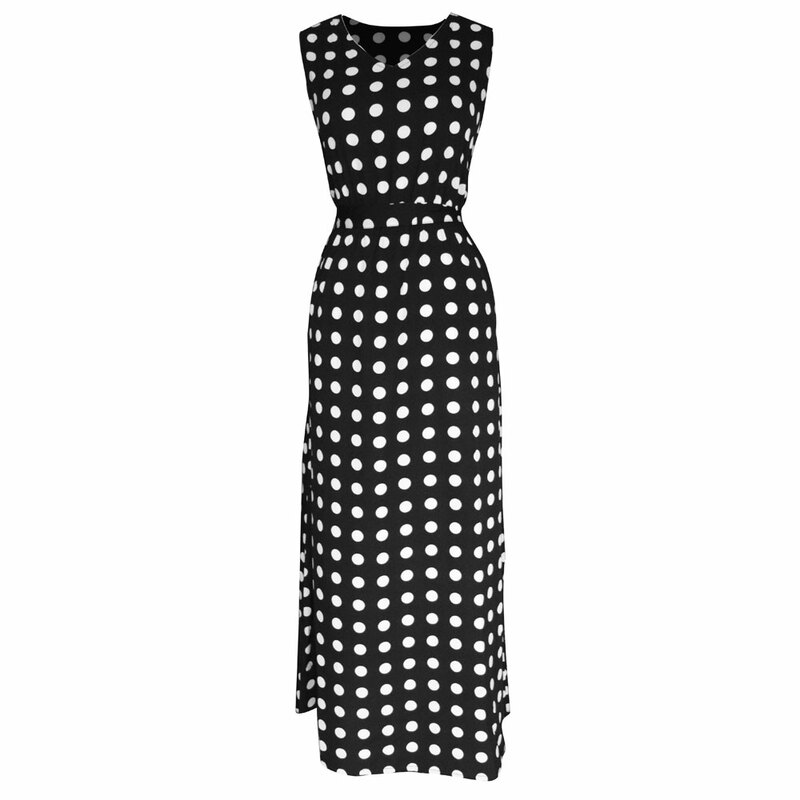 This Maxi-Length Vintage inspired A-Line dress comes in a variety of patterns and designs ranging from fun and popular polka dot print to beautiful and elegant paisley print. This dress is perfect for Spring and Summer. 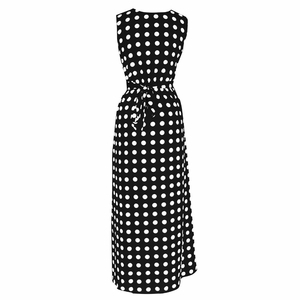 Features V-Neck line, Sleeveless, and Fabric Tie Belt. 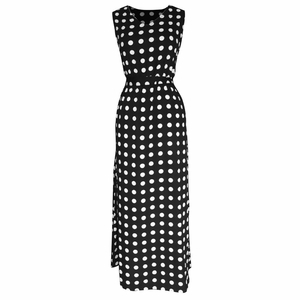 Nothing breaks through those cold-weather blues like a sun-kissed walk in the Polka Dot or paisley maxi Dress! Perfect for Any Occasion!